The footpath / cyclepath regains the line of the towpath to the west of Park Road. 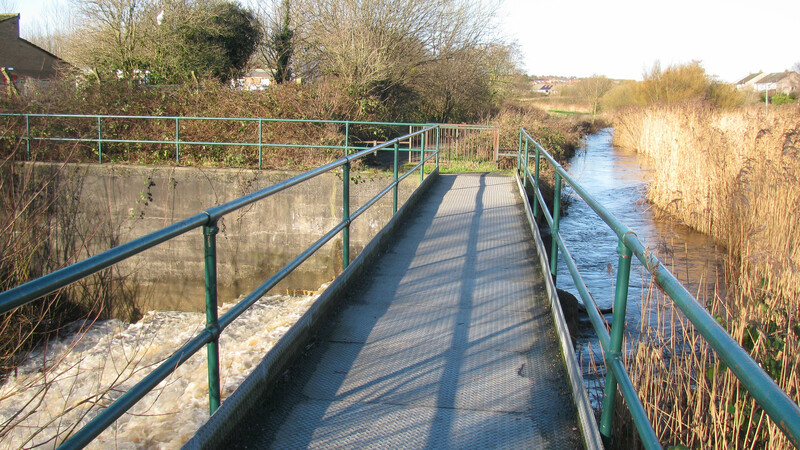 A bridge has been constructed over the weir which allows excess water from the remaining canal to flow into the Sankey Brook. It’s flowing quickly after recent heavy rain but the water level in the canal is still above normal as we will see in the photo’s nearer St Helens.